Some say that the voice is the most powerful instrument you can have. It can help build confidence in an individual. Why not engage in Advent Music to guide you and your colleagues in our Corporate Singing Workshop? It is a great team bonding and confidence building activity by learning how to sing as a soloist or to contribute to a group. Build confidence in your voice! If you would like to engage a (product/service name), kindly contact us at the contact form on the right side of this page, or alternatively, reach us at admin@advent-music.com . If you’d like to find out more, read on! Have fun learning the proper techniques to carry your vocals at your next karaoke marathon without damaging your voice. Or perhaps there have been songs that you wanted to sing but were not sure how to make it happen? This workshop will engage and teach all participants the proper ways to sing in a healthy way, both as a soloist or as a vocal ensemble. Are you trying to expand your vocal range, sing runs with more accuracy and confidence, and learn how to perform a vibrato without difficulty and the correct techniques? Advent Music’s Singing classes assures to go at your own pace, and pushes your singing to the limit so that you can sing with ease and flexibility. 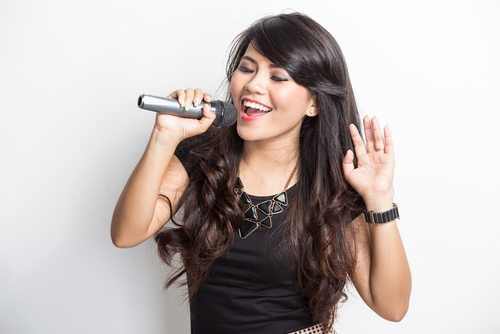 Whether your desire is to sing on a stage, at bars and pubs, or in gatherings and reunions with your old friends, or even just a personal goal to improve on singing, we will provide you with the proper techniques, warm ups, exercises, and hands on practice to make your voice sound good. Your voice is the most powerful instrument you are equipped with. This is a great activity to learn along with your friends and colleagues to relax and have fun. Every voice is unique, so prepare to unleash the special individual voice within yourself. If you would like to engage a (product/service name), kindly contact us at the contact form on the right side of this page, or alternatively, reach us at admin@advent-music.com . If you had selected “Different Skills Combined! kindly let us know what you would like in “Additional Information” below. How many hours would you like the workshop to be? If unsure, put “unsure”.